Healthcare is top of mind for many 2018 midterm voters. As they select state and federal representatives, many ballots also include measures for Medicaid expansion, provider pay and other key healthcare issues. Federal policy on the future of the Affordable Care Act, drug prices and immigration reform will also affect the healthcare industry. Modern Healthcare has been tracking how policy changes and discussion could affect the midterm elections. A change in House or Senate party control or governors' races can tilt the scale on many hotly contested healthcare issues. 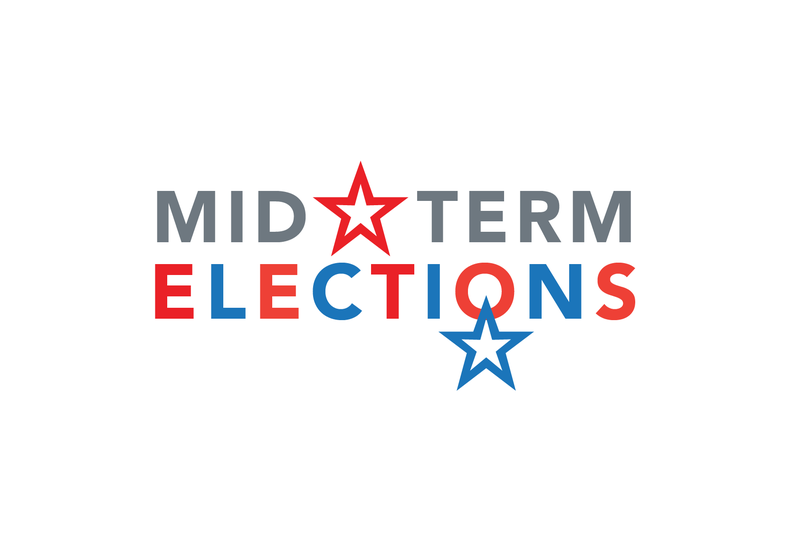 Here we've rounded up our coverage on the upcoming midterm election. - 2018 elections: The future of healthcare could be purple: In the lead-up to the midterms, Democrats appear poised for gains in Republican-controlled legislatures and governor's mansions, which could push the states to make the healthcare compromises that Washington can't. - In Trump midterms, one GOP congressman bets re-election on healthcare: In an intense congressional race in the Chicago suburbs, hospital ally Rep. Peter Roskam (R-Ill.) is running on an anti-regulatory healthcare message. But in a referendum election about Trump, how will that play? - The 115th Congress on the State of Healthcare: Modern Healthcare's 115th Congress on the State of Healthcare is a featured collection of commentaries from lawmakers and healthcare organization leaders. Included in this collection of Congressional commentaries are six editorials from U.S. Senators and eight House Representatives across both party lines. - Data Points: Healthcare tops the polls as midterms loom: The all-important 2018 midterm elections are less than two months away. As special elections and primaries this summer have proven, healthcare continues to be a hot-button issue. - Editorial: Healthcare PACs voting for incumbent protection: Many Democratic congressional hopefuls are making healthcare their top talking point for the upcoming midterm elections, which is not surprising given the low unemployment rate. The early donations from political action groups lean toward the incumbents. - House Speaker Ryan to retire with a mixed legacy on health policy: House Speaker Paul Ryan's upcoming retirement from Congress after leading the GOP's charge to repeal the Affordable Care Act leaves his party in a challenging place on healthcare messaging ahead of the 2018 midterm elections. - Bullish post-election Medicaid expansion outlook may not match end result: Although a new report predicts 2.7 million people in nine states could soon become eligible for Medicaid, expansion could look very different state by state. - Medicaid expansion on the prairie: Nebraska's ballot initiative heads to the polls: Four years into Obamacare, the majority of Nebraska voters support Medicaid expansion, a key measure on their midterm ballot. But even pro-expansion hospitals are taking a cautious view of how much it will impact the rural bottom line. - Verma touts Medicaid work requirement successes, despite coverage loss: CMS Administrator Seema Verma insisted that Medicaid work requirements are working as intended to move people out of poverty, despite criticism that they're doing more harm than good. - Medicaid blues: Hospitals, insurers wage political battle over managed-care dollars: Medicaid, the 50-year-old federal-state health coverage plan for the poor, has devolved into a political inter-industry feud in the impoverished Mississippi Delta. What does the fight foretell about the Medicaid industry and how it treats the nation's poorest? - Could deep-red Miss. expand Medicaid? 2019 will tell: A Mississippi state senator has introduced a bill to expand Medicaid every year since Obamacare went into effect, but so far it's been off the table. The 2019 governor's race could change the picture. - Close governor races could decide future of Medicaid: Advocates say the single biggest factor in expanding Medicaid in balky states has been the election of a governor who supports it. - Editorial: Want people off Medicaid? Give them more access to it: New research found those who gained coverage through Michigan's Medicaid expansion faced fewer debt problems, fewer evictions and bankruptcies, and saw their credit scores rise just years after enrolling for coverage. - Wisconsin can impose Medicaid work requirements, time limits, but not drug testing: The CMS on Wednesday gave Wisconsin permission to impose work requirements on beneficiaries. It's the first state to receive a green light for the policy without expanding Medicaid. The agency rejected the state's mandatory drug testing proposal. - Tennessee joins push for Medicaid work requirements: Tennessee is the fourth state this month to introduce a work requirement proposal for its Medicaid enrollees. Officials there believe it has a better chance of CMS approval than other non-expansion states due to its coverage policies for adults. - House Democrats press HHS for Medicaid work requirement records: Two top Democrats on the House Oversight Committee want to subpoena the Trump administration's documents around its Medicaid work requirement policy. HHS officials haven't responded to their previous requests for information. - Senate Dems fail to block Trump's policy on short-term health insurance: Wisconsin Democrat Sen. Tammy Baldwin's forced vote to overturn the Trump administration's plan for short-term health insurance failed in a tie, although the Democrats gained one Republican ally. - Senate Republicans in talks with Verma to expedite states' 1332 waivers: The Senate's two top GOP proponents for individual market exchange stabilization measures are in talks with CMS Administrator Seema Verma about making 1332 state innovation waivers easier to obtain. - Editorial: The midterm elections will decide the fate of the ACA: If the GOP maintains control of the entire government, the nation's health insurance marketplace would look a lot like the one that existed before passage of the Affordable Care Act. - Judge skeptical of ACA's standing without effective individual mandate penalty: In a U.S. district court Wednesday, a federal judge had hard questions for Democratic state attorneys general who argued that the ACA can stand even with a zeroed-out tax penalty. - ACA court case causing jitters in D.C. and beyond: A lawsuit aiming to overturn the Affordable Care Act goes before a conservative Texas judge Sept. 5. The health insurance industry and GOP lawmakers are bracing for the potential fallout. - Uncertainty could spook insurance markets as DOJ decides not to defend ACA: The Department of Justice has asked a federal court to invalidate three key Obamacare coverage mandates, siding with a red state lawsuit against the Affordable Care Act and spurring new uncertainty for the 2019 individual market. - Republicans weigh electoral calculus on reviving ACA repeal push: Both Republican and Democratic political observers see a narrow possibility for yet another Obamacare repeal drive this year, given intense pressure from conservatives and the urgent GOP need to fire up right-wing voters to maintain their control of Congress in this fall's elections. - Pre-existing conditions drive state attorney general campaigns: Democratic candidates in state attorney general races have leveraged their party's national campaign strategy around coverage of pre-existing conditions. They're trying to beat Republican incumbents who are suing to end Obamacare. - Will Republicans keep their new promises on pre-existing condition protections? : Despite congressional GOP candidates' promises, health policy analysts doubt whether victorious Republicans would move to replace those ACA protections with equally strong measures to cover people with health conditions as part of repeal legislation. - Tight Iowa congressional races key on pre-existing condition protections: The battle over pre-existing condition protections has become particularly heated in two toss-up House races in Iowa, even as unregulated Farm Bureau health plans that can use medical underwriting will go on sale Nov. 1. - GOP senators propose new protections for challenged ACA provisions: As the country heads toward midterm elections and red states look to overturn Obamacare in the courts, Republican senators have introduced a bill to preserve some of the law's most popular provisions. - Verma argues 'Medicare for all' would cause physician shortage: In a speech to insurers, CMS Administrator Seema Verma claimed patients would struggle to find a doctor if the U.S. implements "Medicare for all." - 'Medicare for all' proves to be tricky issue for Democrats: Progressive Democrats want to wrestle “Medicare for all” into their party's platform. But Democratic strategists and the results of recent primaries say the country isn't ready for it yet. - Editorial: Drug price controls? A good idea, but don't bet on it: Once the heat of the campaign dissipates, a majority in both parties will remain susceptible to their main argument that high prices are necessary to promote innovation. - Fate of Trump's Part B drug cost plan may depend on Dems winning House: Trump's Medicare Part B drug cost plan could move forward, particularly if Democrats win control of the House. - New CMS pay model targets soaring drug prices: The Trump administration's first mandatory CMS pay model is projected to save taxpayers and patients $17.2 billion over five years by shifting Medicare Part B drugs to price levels more closely aligned with what other countries pay. - 340B showdown: Big pharma, hospitals squaring off in lobbying fight: Hospitals have adopted a take-no-prisoners approach in the fight with Big Pharma over the 340B drug discount program. Can this strategy hold as Congress, oversight agencies, the courts and the Trump administration ratchet up scrutiny of the program? - Editorial: Medicaid expansion, dialysis, staffing ratios get grassroots push: Grassroots activism is behind both good and bad trends in policy. Consumer coalitions are behind Medicaid expansion ballot measures in several states, while other coalitions are pinpointing dialysis policy and staffing ratios. - Mandated nurse-to-patient ratios spark high costs, few savings: Massachusetts voters in November will determine whether mandated staffing ratios for registered nurses will go into effect Jan. 1. Implementing the ratios could cost providers $676 million to $949 million per year. - Data Points: A state-by-state look at nurse-to-patient staffing ratios: As nurse-to-patient ratios are debated on both coasts, projections show a few states may not be able to meet future demand for registered nurses. - Dialysis cos. dole out more than $100M to beat Calif. ballot measure: With just a few weeks to go until November's elections, the dialysis industry has raised more than $105 million to defeat a ballot measure that would cap their profits at 15% of direct patient-care costs. - Calif. governor vetoes dialysis reimbursement cap: Dialysis giants DaVita and Fresenius won a major victory in California as Democratic Gov. Jerry Brown vetoed a bill that would have slashed and capped their reimbursement rates. - Children's hospitals bear largest brunt of Trump immigration crackdown: Children's hospitals could see their revenue dip if increased anti-immigration sentiment from the Trump administration causes an exodus from Medicaid. Chronically ill children on Medicaid primarily go to these facilities for their hospital stays. - Clinics catering to immigrants take a hit from White House policy: Healthcare providers who care for refugees are faced with the financial strain of having fewer new patients as a result of the Trump administration's limits on immigration. - Healthcare groups blast proposed rule penalizing immigrants for using public benefits: The Department of Homeland Security published a proposed rule that would allow immigration officials to consider legal immigrants' use of public health insurance, nutrition and other programs as a strongly negative factor when applying for legal permanent residency. - Immigrant detention crisis could yield profit for some providers and payers: The influx of immigrant children under HHS' care translates into big contracts for providers charged with the children's medical treatment. - Trump's immigrant healthcare rule could hurt low-income populations: The Trump administration reportedly is nearing completion of a new immigration rule that healthcare providers and plans fear will harm public health and their ability to serve millions of low-income children and families. - What do U.S. immigration policies mean for the healthcare workforce? : There's been a drop in the number of foreign-born medical graduates applying for residencies in the U.S. at the same time that the country struggles with physician staffing shortages. Industry stakeholders worry the decline comes from recent efforts to stem immigration.